People love to do shopping for babies every now and then. Especially new moms are so much excited to buy cute and attractive stuff for their little fellows. One important item to look for while doing baby shopping is shoes. Buying baby shoes sometimes become hard due to many different factors like baby’s age, size of feet, comfort level and ease of walk. There are some shoe pairs that look cute and appealing but they don’t fit properly in your child’s feet, or they cause pain while walking. So one must look for the most suitable pair of shoes with a little extra care and attention. Following is the list of some beautiful and adorable shoes you should definitely go for. This great pair of slip-on shoes is made of soft leather with an elastic ankle. Quite comfortable, easy to put on and take off. 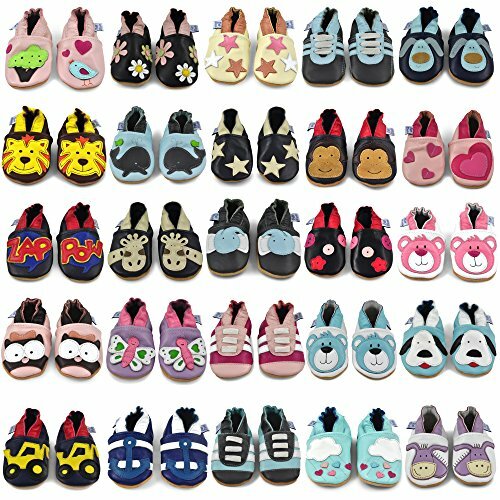 Cute cartoon motif on the top looks very beautiful on your baby’s feet. You can clean these shoes easily with damp cloth. Made of super soft leather these shoes are quite lightweight and durable. easy to wear these shoes look cool even without socks. The sole is made of leather as well to allow comfort in walking and easily bend in all directions. This pair is a good choice for toddlers. Just another great pair made of leather easy to wear. Black moccasin with pink lining is a must go for girls. Available in different fits, narrow and wide, these shoes are lightweight and flexible to bend. Soft sole provides additional comfort and grip to the feet. This shoe pair is made of leather or canvas. The sole is specially designed to make the shoe comfortable, lightweight and anti-slip to protect the little fellows from falling. This shoe pair is suitable for home and outdoor as well. 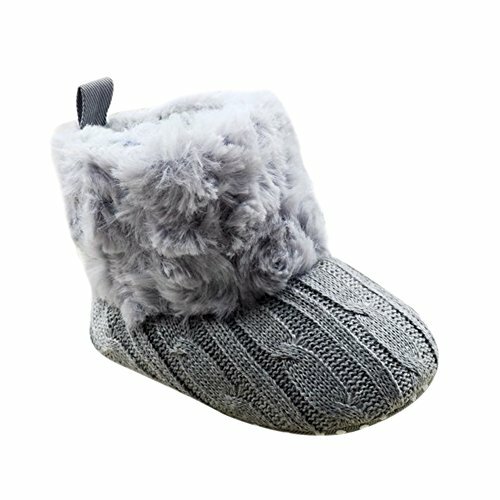 This great pair is a good choice for babies if you are going out in the winters. 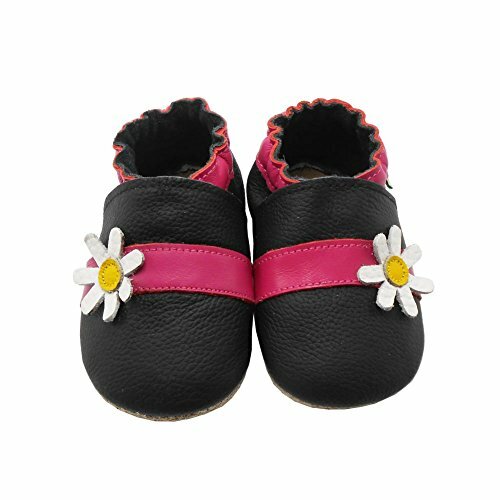 Made of cotton and baby friendly leather these shoes will not disturb your baby at all. The soft sole gives totally natural feel to the feet making it perfect gift for Christmas. These shoes are made of PU leather. 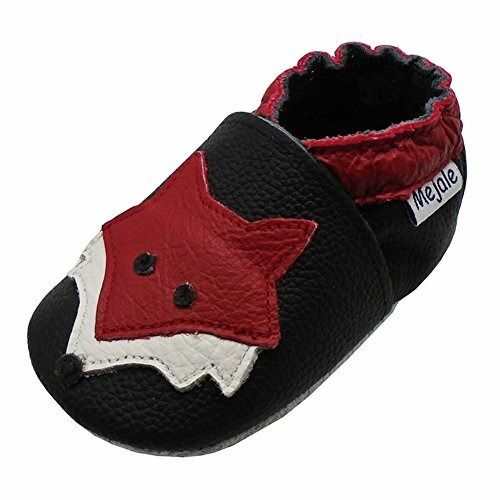 These soft and durable mocassins are perfect for small feet and look cute on them as well. The sole is completely anti-slip and flexible and an elastic opening is provided to add comfort in wearing. This pair of shoes is made of cotton knitted fabric. Completely comfortable for pre-walking babies to wear without falling due to its anti-slip sole. A perfect choice for winters and Christmas, this pair comes in a variety of available colors. These beautiful shoes are made of soft leather and are easy to wear. 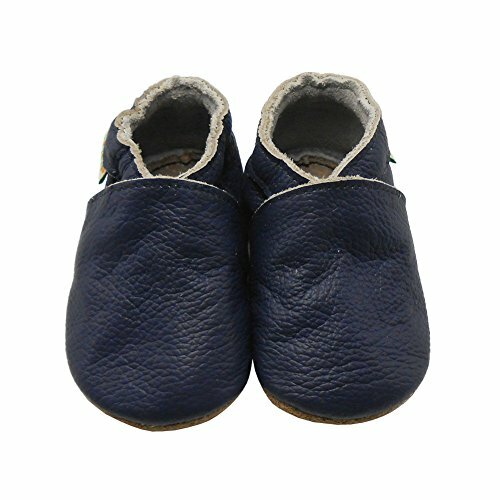 The shoes are provided with a suede sole to prevent from slipping and give a natural feel to the child’s feet. The special design of this shoe pair is also approved by pediatricians as it allows natural growth of body and feet. This cute looking pair of mocassins is made of artificial leather which is completely tested and it is not harmful to body and feet. Being a soft and lightweight shoe pair, it provides comfort in walking. The elastic band makes the shoes stay on your baby’s feet. This sweet little shoe pair is leather made and is lightweight and easy to wear. Special anti-slip sole with additional floor grip pads to make your baby walk freely without any fear of slipping. This shoe pair is available in a variety of colors and is a perfect gift for baby showers. This simple yet a stylish and fashionable shoe pair is manufactured from fabric completely. Cotton plus coral velvet is used to add a soft and smooth feel to the baby’s feet. Easy to wear and lightweight are some other features of this pair. This shoe pair is a great option for first walkers. A stylish cartoon animal design to grab the attention of the baby. Extremely comfy, easy to wear and lightweight, these shoes should be in every baby’s closet. These cotton fabric shoes are not only great looking but are ridiculously cheap. You should order them just for the sake of it, they cost less than a candy bar. The shoes coming in three different sizes, they are optimized for newborn – 6 months, 6 – 12 months and 12 – 18 months babies.